Hurston, Zora Neale. Dust Tracks on a Road: an autobiography. Philadelphia, London, New York: J.B. Lippincott, 1942. Zora Neale Hurston (1891 – 1960) grew up in Eatonville, Florida, and moved to New York in 1925 to study anthropology at Barnard College. That same year, she won awards in Opportunity’s literary contest for a short story and play she submitted. 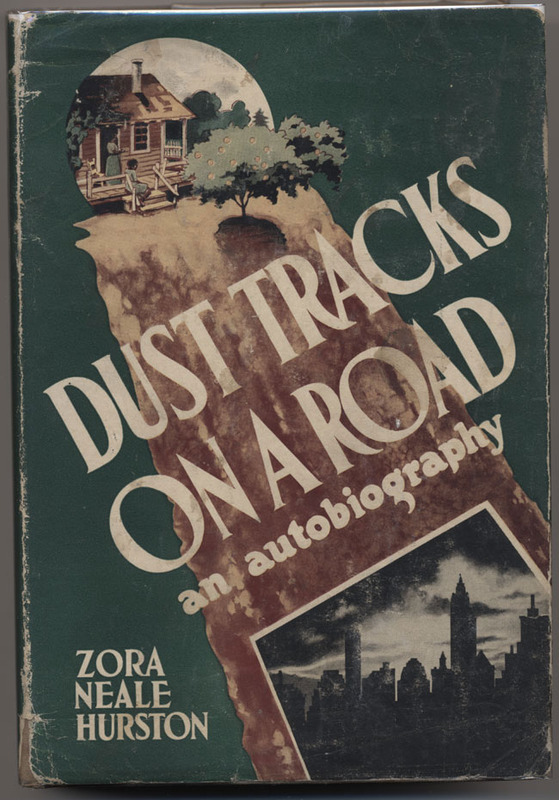 Following her time at Barnard, Hurston did field research documenting African-American folklore, first in Harlem, then in rural Southern communities. Over the course of her career, she published short stories, novels, an autobiography (Dust Tracks on a Road), and scholarly works on folklore. Her literary work combined elements of her research, her life experiences, and her vivid imagination to create distinctive, unorthodox stories. Despite early success, Hurston died in obscurity. Her work received renewed interest in the late twentieth century and has inspired many modern writers, including Alice Walker and Toni Morrison. "In the abrupt way that jazz orchestras have, this one plunges into a number. It loses no time in circumlocutions, but gets right down to business. It constricts the thorax and splits the heart with its tempo and narcotic harmonies. This or chestra grows rambunctious, rears on its hind legs and breaks through to the jungle beyond. I follow those heathen—follow them exultingly. I dance wildly inside myself; I yell within, I whoop; I shake my assegai [spear] above my head, I hurl it true to the mark yeeeeooww! I am in the jungle and living in the jungle way. My face is painted red and yellow, and my body is painted blue. My pulse is throbbing like a war drum. I want to slaughter something—give pain, give death to what, I do not know."